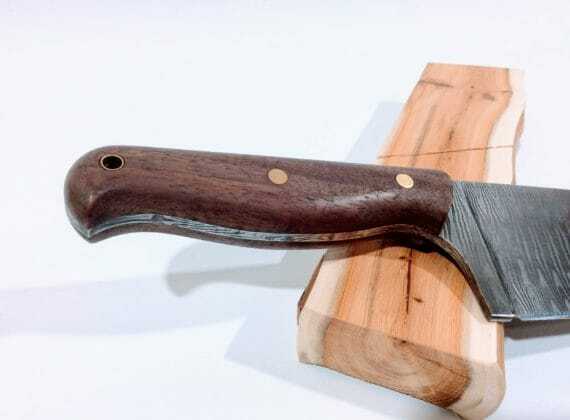 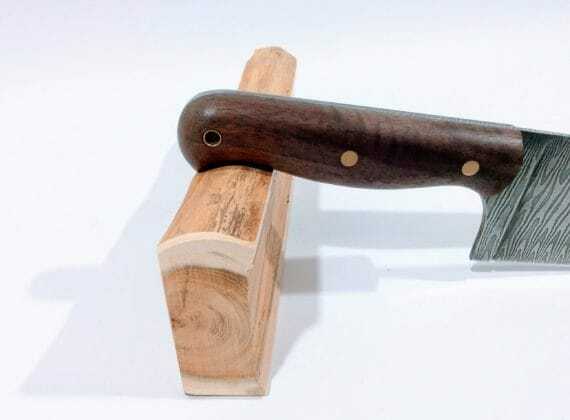 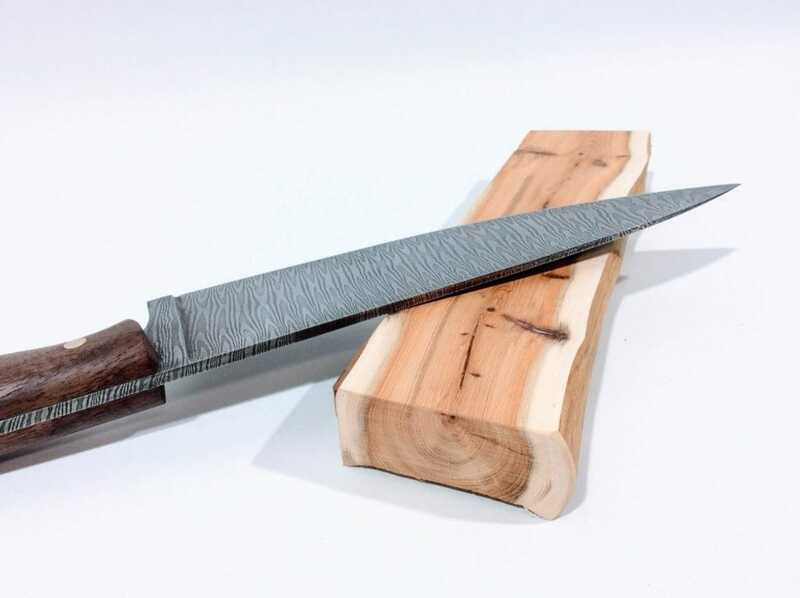 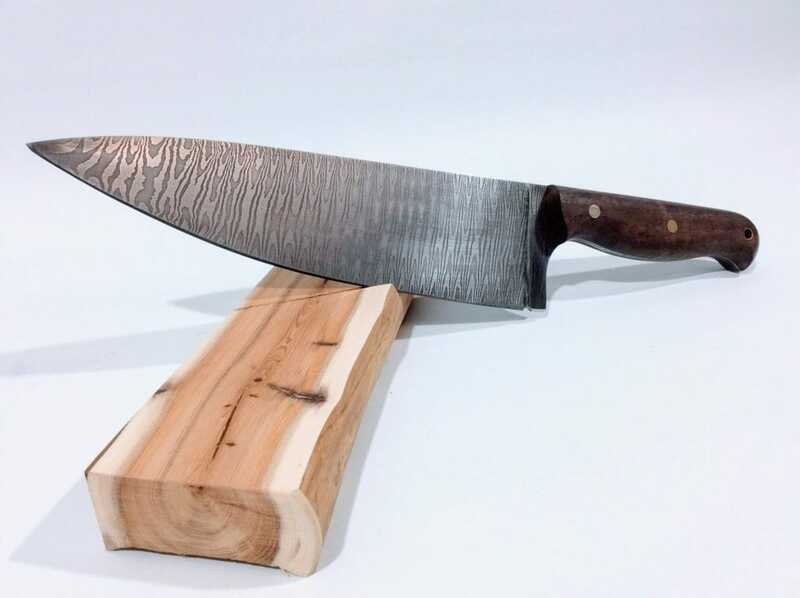 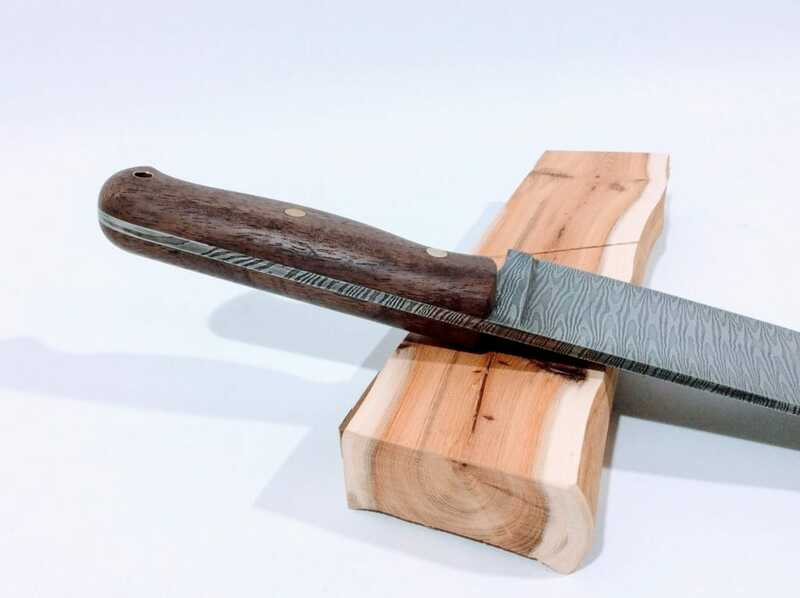 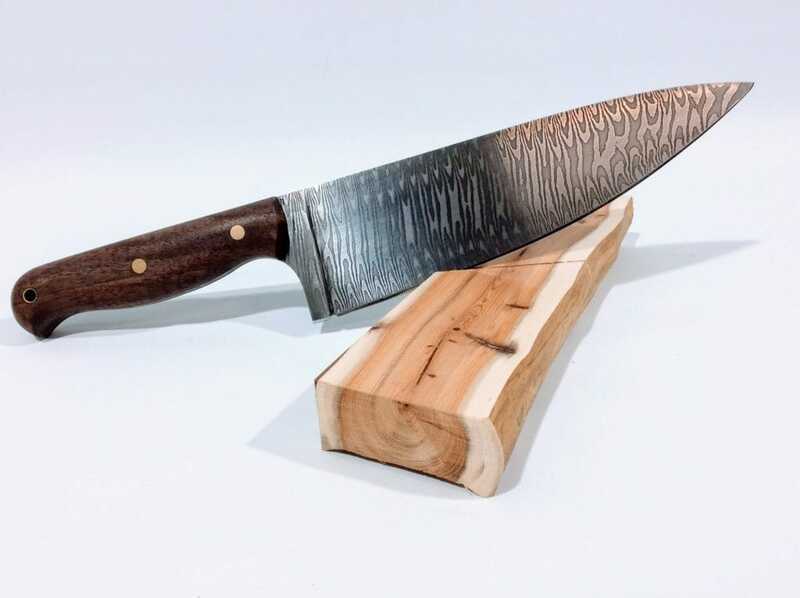 18 layer tightly twisted Damascus with full tang handle, walnut scales and brass pins. 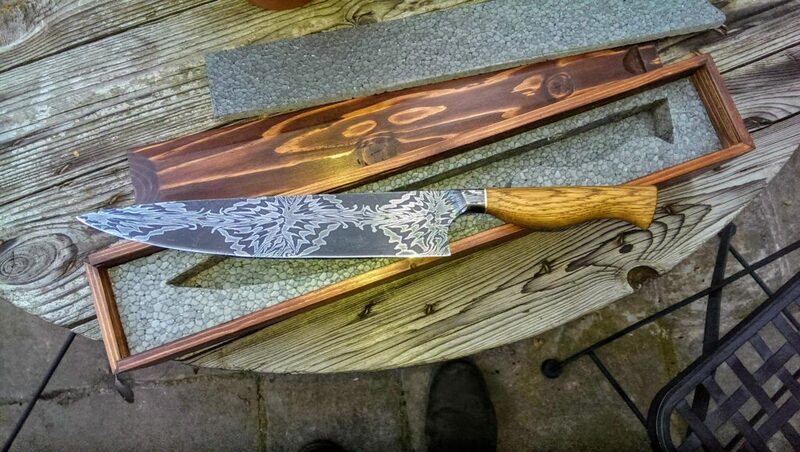 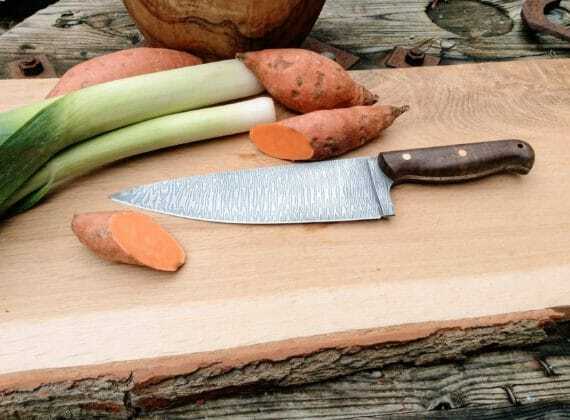 Etching continues around the tang. Balances at joint of blade & handle.